Acne scarring home treatments can serve as an effective alternative to cosmetic and intrusive surgical procedures in the treatment of mild to moderate acne scarring. Before applying any of the following acne scarring home treatments, bear in mind that some acne scars due to their depth and size cannot be completely eliminated. In some cases, it may take a surgical intervention to significantly fade acne scars caused by severe cystic acne or by inadequate treatment. This is the main reason why it is so important to prevent acne in the first place and to treat scars as early as possible to avoid all the unnecessary agony and costs involved in the treatment of acne scarring. Another reason why home treatments for acne scarring are more preferable than surgical treatments for acne scarring and are recommended even by several dermatologists and naturopaths is that conventional acne scarring treatments such as laser acne treatments can cause unwanted and sometimes permanent side effects and irreversible damage to the skin. Thee are in fact several natural home remedies, which are excellent for treating mild to moderate scars and marks and are also very cheap and can easily be found in your own kitchen or in your local heath food store. Lemon juice can be extremely effective at lightening dark spots caused by acne. Simply cleanse the mark or scar with a good antibacterial soap or just water and dab one teaspoon of lemon juice into a cotton ball and apply on your red marks and spots. Rinse after ten minutes. Make sure you use a good sunscreen after you have applied the lemon juice mixture. Another great can scar home treatment is baking soda. Baking soda functions as a homemade microdermabrasion treatment. Simply mix one teaspoon of baking soda with about two teaspoons of mineral water and gently apply the mixture to your face and rub in circular motion. Rinse after sixty seconds. This will also leave your skin smooth and silky. Cucumber juice, papaya skin and olive oil are also very effective at treating marks and scars left from acne. A highly recommended at home acne scar treatment is using sandalwood and rose water. Simply mix the two into a paste and apply the mixture on the affected areas. Rinse with water after the mixture dries on your face. 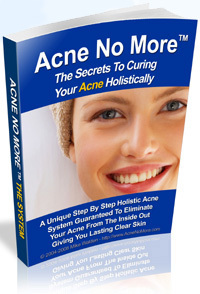 Some of the best home acne scar treatments I have personally used with great success were: MSM and Alpha lipoic acid. These will almost completely remove those blotchy red marks (post-inflammatory hyper pigmentation). Combine the above with Rosa Mosqueta oil and antiseptic manuka honey and you got yourself an beatable army to win your battles against even the most stubborn acne scars. Now that you know how to treat your acne scars using simple and cheap home acne scarring treatments, keep in mind that especially if you still suffer from acne, the best practice for avoiding additional acne scars and make your wounds heal faster is to fix the internal cause of acne. The holistic way has been proven to naturally neutralize the internal environment that encourages acne formation. By eliminating the possibility of future breakouts, you are also preventing additional scarring. The wisest choice would be to use the above acne scarring home treatments while taking an honest effort to cure and prevent future acne formation.